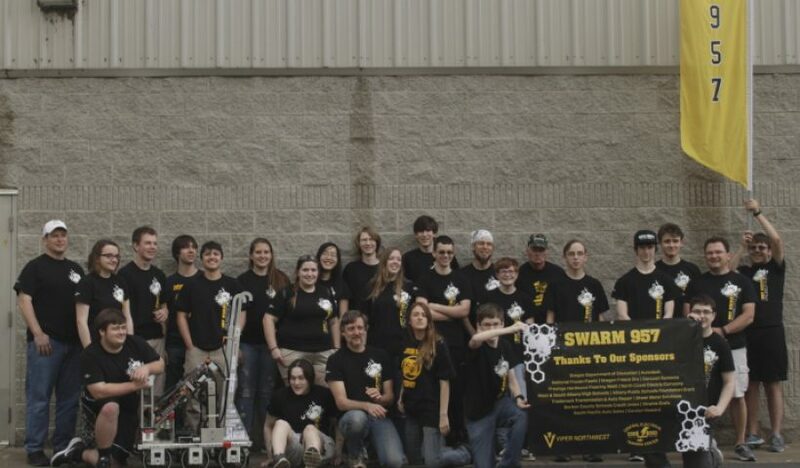 The combined robotics team from South and West Albany high schools, SWARM, started the competition season last Saturday, Jan. 7. The team was slated to join other local teams in Corvallis for the FIRST Robotics national competition at Oregon State University. Due to inclement weather, the team met virtually and started the competition at home. Team members all worked from home as a team online throughout the weekend. They will continue preparing their project over the next six weeks at the IBEW Training center where SWARM is housed. At the national event, teams learned the specifications to design, build and program their robots. After the reveal, they spent the rest of the day and will spend the next six weeks working Mondays-Sundays until the day of competition on Feb. 18 at Corvallis High School.